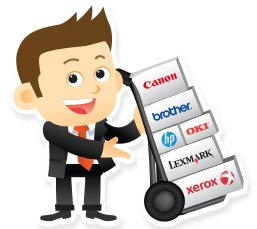 Easily manage all of your printer, copier or fax machines here! Create a list, make a note for yourself like "Front Desk" or "Bob's Printer" and we'll do the rest! Add a new machine from this page or anywhere you see the Add to My Machines button on our site.